TEKKEN 6 (360) | SDTEKKEN.COM - TEKKEN News Resource! “Power is Everything.” This is the law of Tekken. All seek it. All are consumed by it. In the end, all bow to its immutable logic. Each warrior has a unique motivation for entering the 6th King of the Iron Fist Tournament: Respect. Vengeance. Honor. Righteousness. Family… Power alone will lead them to victory. Power alone will bring all foes to their knees. In this world governed by violence, who will reign supreme? The Mishima bloodline continues to flow, a self-destructive torrent of turmoil and darkness. Will the conflict ever be resolved? The next chapter in the epic battle is about to begin. 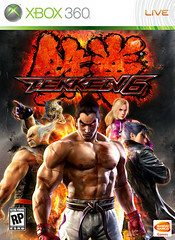 Armed with jaw-dropping HD graphics running flawlessly at 60 fps; the largest character roster ever in Tekken gaming history; ground-breaking online game modes and robust character customization system; the greatest fighting game franchise soars onto the PlayStation®3 Computer Entertainment System and Xbox 360® video game and entertainment system. Tekken 6 is also coming to PSP® System this Fall! 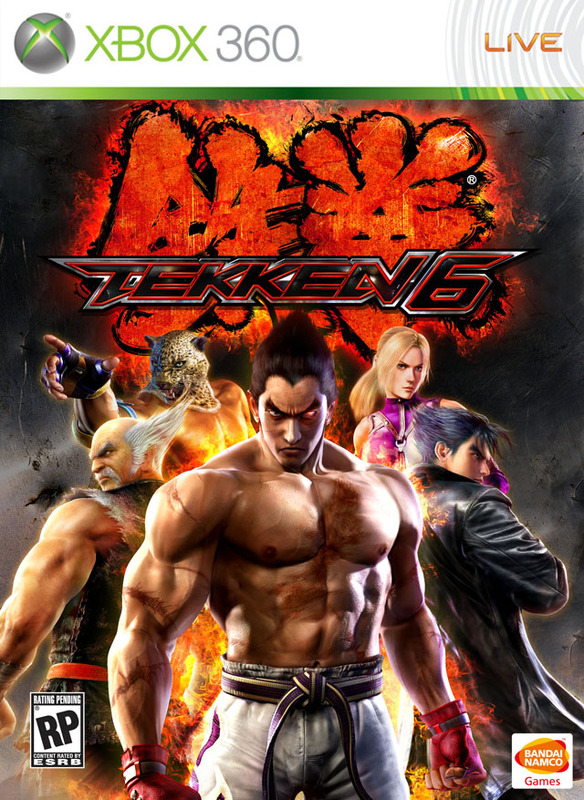 The PSP version of TEKKEN 6 will not only contain all the explosive action of its home console brethren but also feature additional stages, content, items, and an ad-hoc multiplayer mode. Gorgeous Graphics – The advanced high definition graphics and 3D animation technologies create the most impressive HD visuals in Tekken history. The Largest Character Roster Ever – Master 40 unique fighters representing the world’s top martial arts styles. The character line-up includes 34 beloved characters, such as Jin, Heihachi and Kazuya, as well as 6 brand new characters with unique fighting styles and combo systems. Compete and Battle Globally – Prove your supremacy with the online VS mode or engage in revolutionary online co-op battles against A.I. controlled enemies with your friends globally. Brand New Action Game Mode – Venture beyond the traditional boundaries of a fighting game in the brand new Scenario Campaign Mode. Jump into single player or two player online co-op campaigns to experience the intense drama and large-scale battles that unfold. Endless Possibilities to Customise – Create new characters and customize them with every imaginable detail. Customize their hairstyles, apparel, fashion accessories, tattoos, etc. Then take your own ultimate fighters online in VS mode or Co-Op mode. Dynamic, Interactive, Destructible Environments – Punch your enemies through concrete walls or kick them through floors to open a whole new battleground. The stages go through dynamic changes ranging from a sudden attack helicopter crash to vehicle explosions. and yay ma king is in the art cover woo!!! At about 1:27 in this video it shows the New Action Mode! Thats a good post, I will keep comming here to update for new content. keep doint this great job mate.